Ask About Patrol Security Today! Remote Camera Monitoring is a cost effective way to keep an eye on your property without a standing security officer being present on your property 24 hours a day. We have our security team monitor your cameras remotely and if we see a threat we can send an armed guard to your location. At Security Specialists, we offer a range of comprehensive security services, designed to meet a wide range of complex security needs. 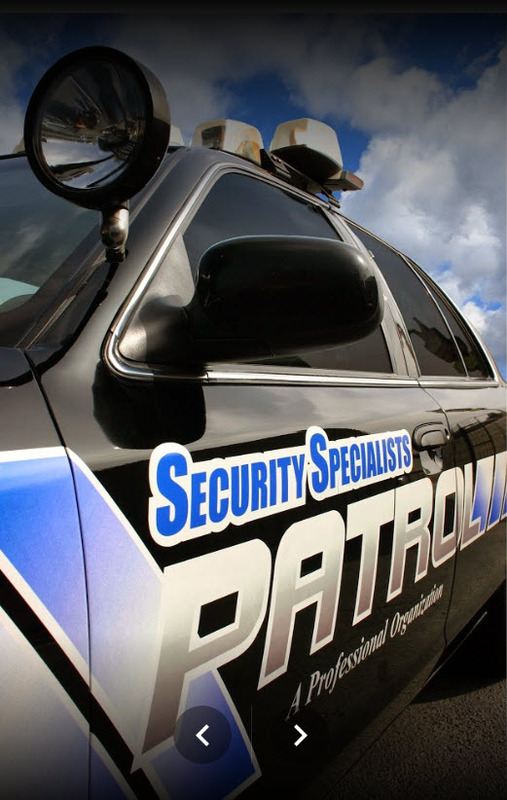 Whether you are interested in guard services for your personal protection, something along the lines of mobile patrol for your homeowner’s association, or even a security business that can combine these services with other essential security demands, we can help. Established in 1999, we have built a professional high-security reputation in the Southern California region for being able to meet multifaceted security concerns and demands for a wide range of businesses, spaces, and individuals. Security Specialists was built on a reputation for innovation, we have implemented a number of operational and revolutionary technological enhancements that maximize the effectiveness of our services. We believe in giving our clients a wide assortment of security options, in order to create an approach to security that makes sense for them. At the same time, we also believe that our security services should be customizable. We understand that different clients have different security demands when it comes to things like mobile patrol, or the demand for emergency security service. When you work with Security Specialists to protect yourself, your employees, your family, your property, or your professional interests, you can be sure you are working with a company that will address what you need on every possible level. The end result will be a security solution that has been designed with your needs in mind. At the end of the day, it is impossible to put a price on the peace of mind one gets from experience and dedication. 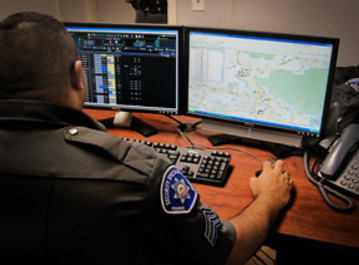 To become the elite leader in Private Patrol Services in the great cities and counties of Southern California by exceeding our client’s expectations through brilliant service performance, superior talent, applied technological innovation and prominent rapport with local law enforcement agencies and the public. We believe that being in the security industry it is our duty to serve the community and take pride in keeping neighborhoods safe. We not only want to reduce crime and vandalism, we want to eliminate it. ◦ Exemplify a strong symbol of authority. Our team Image, Technology, Training and Attention to the client and public relations are the distinct elements Security Specialists has over its competitors. We are not your typical security company that believes in sticking with the same old ideas. While we believe that there are certain elements to security work that should always be considered, we are also a company that believes innovation drives the future of this industry. To that end, we have implemented a wide range of operational/revolutionary technological improvements. Whether you are looking for a bodyguard specialist, or if you need after hours mobile patrol, you can take full advantage of the fact that our company strives at all times to maximize the effectiveness of our security services. These are just our main services. As you can imagine, it isn’t hard to create a range of security services that are designed to protect your particular interests. If you need comprehensive, experienced protection for your family, your home, your place of business, or all of those things, contact us today. We will give you a free quote and help you customize a security plan to fit your needs. 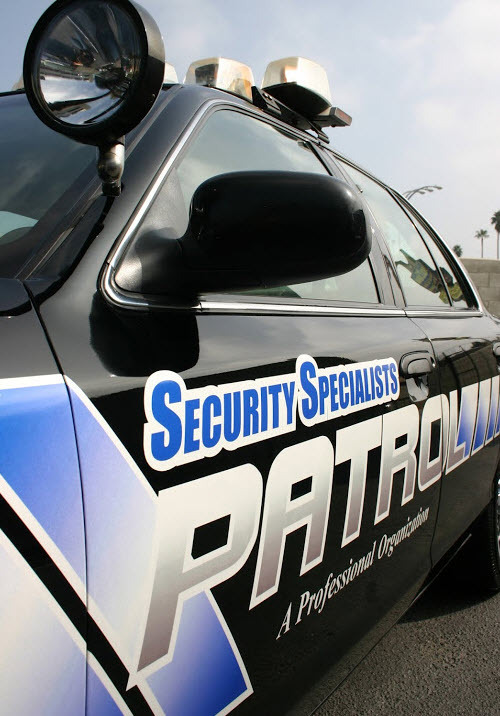 We are a full service security guard company that services all Southern California. We have been protecting thousands of clients since 1999. It is our honor to protect lives, valuables and property. Call today to get a free security service quote. We have a very simple yet accurate misson statement. 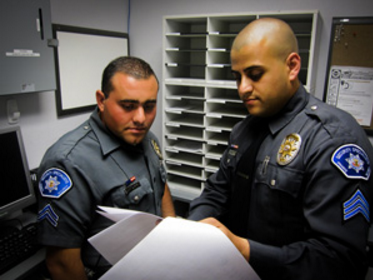 Our mission is to protect and guard our clients and property to ensure safety and deter crime. Security Specialists culture is to conduct ourselves in a professional manner with excellent communication skills. Our clients should feel free to express all security concerns. We evalute your concerns and adapt to the environment we are in. When looking for security for communities, HOA’s, apartments, homes or businesses mobile patrol is highly seeked because its more cost effective that hiring a standing guard. You can request if you want after hour patrol, vacation patrol, parking enforcement patrol. We are the company to hire for alarm response for both business or home. 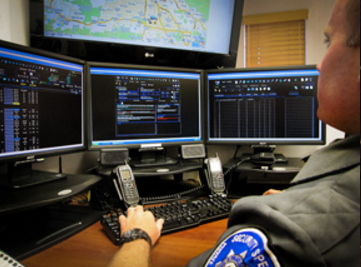 We have patrol cars throughout Southern California and can usually attend to your alarm faster that the local police for a very low monthly cost. When looking for the best deal for your wallet yet high targeted security look no further than our remote camera monitoring services. We offer this service nationwide. We have a security officer monitoring your property at all times for as little as $1.50 an hour. When it comes to hiring security sometimes people don’t know some common questions in our industry. We wanted to provide our potential clients some answers to some common questions we recieve from the public. If you don’t see the question that you have in mind please call us! We have staff picking up our phones 24 hours a day, 7 days a week. We service clients with different security service needs such as: mobile patrol, executive protection, armed guards, unarmed guards, event security, commercial security, home security, business security, alarm response, remote alarm monitoring and much more! Call us today. Do you offer Emergency Security Services? Yes, we offer same day emergency security services. We have a variety of emergency security services such as a last minute private event, or needing a security guard to secure your business. Our rates start at $45 an hour for emergency security services. Do your security officers have to be in uniform? No, our security officers can be undercover in plain clothes or if you have a dress code for your event you can let us know what it is and we will do our best to try and accomidate your request. I usually don”t take the time to write a testimonial but the service I recieved from the security guards that covered my launch party were not just on time a rare thing in Los Angeles but they also stayed after the party with some of my guest until Uber picked them up. 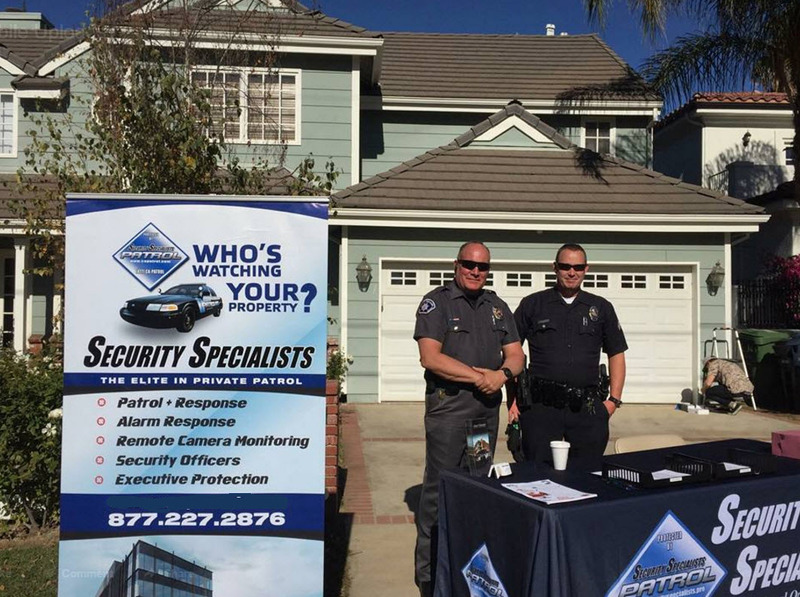 I’m on the board of our Homeowner’s Association and we use Security Specialists in our community. They are professional, punctual and extremely approachable. Our community feels safer knowing that they securing our property. I especially like the reports they send us. I had no idea how many incidents we actually had at night. I hired Security Specialists because my retail space has so much foot traffic. I was able to secure my private business 24 hours a day and they actually gave me a lower rate than all the other companies I had called.